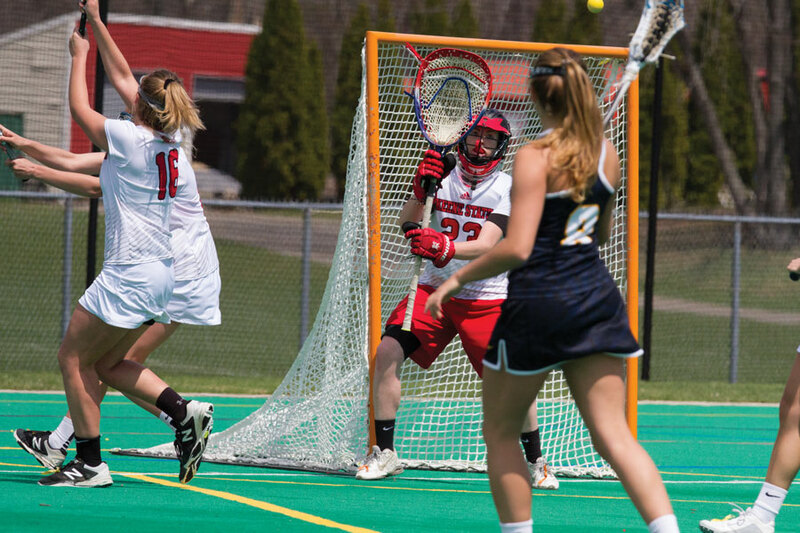 On Saturday, April 28, the Keene State College women’s lacrosse team took a 18-13 victory over the University of Southern Maine Huskies. 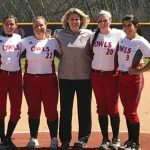 The Owls also honored their four seniors, Taylor Farland, Cora Telles, Tori Weinstock and Tara Kilderry. 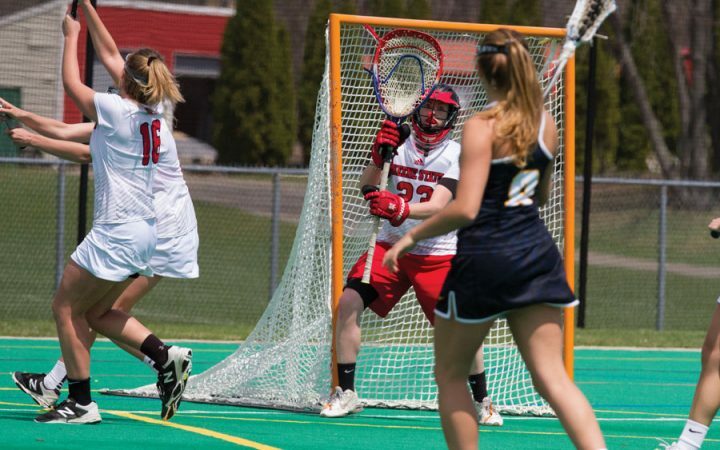 KSC held the victory in both halves of the game, ending the first half with a 10-6 lead. The Owls picked up eight more goals in the second half of the game, ensuring their victory by five goals. This win earned them the third seed in the the upcoming Little East Conference (LEC) tournament. The first half started with junior Chelsea Lewis scoring two goals, and first-year Ali Daisy finding the back of the net also. The score went to 3-0, sophomore Tess Masci soon making in 4-0 for the Owls. Sophomore Erica Chareth added to the tally, changing the scoreboard to 5-0, while Masci quickly made it 6-0. The Huskies caught up with some quick shots, however. Whilr the first half closed out with a 10-6 lead for the Owls, the second half was a back and forth game between the Owls and the Huskies. Ultimately, the Owls broke away, taking away the 18-13 win.